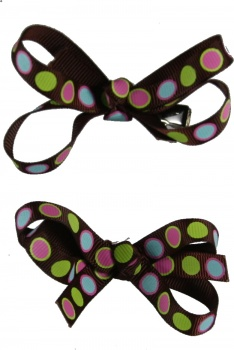 Two great chocolate brown hair bows that have pink, light blue and lime green polka dots in a row. These two bows match and will look great on each side of her head for piggy tails. Each bow is attached to a lined alligator clip.